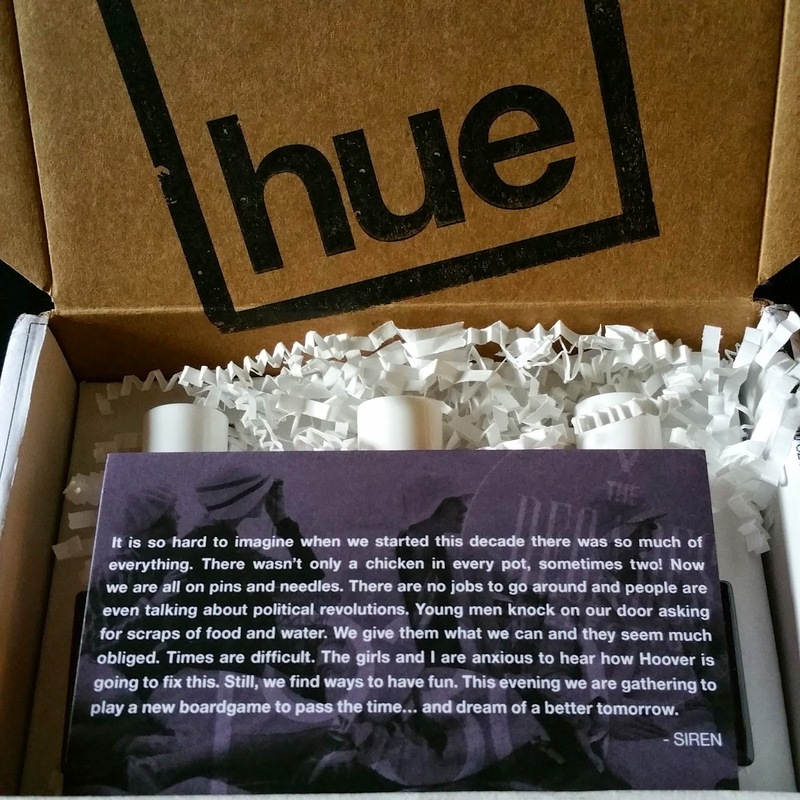 SquareHue was kind enough to send me the box in exchange for a review! 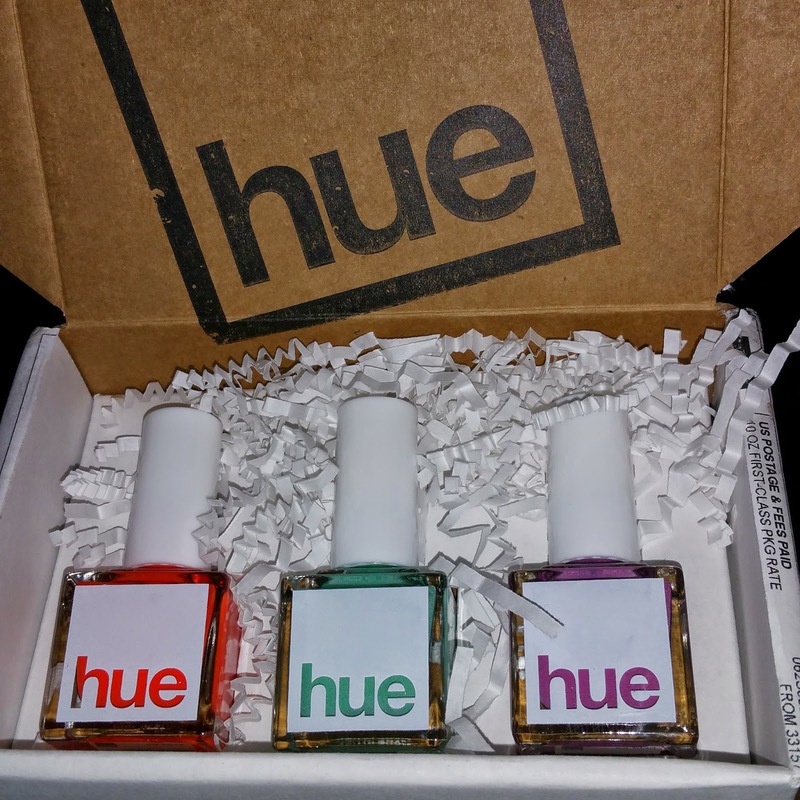 SquareHue is a monthly subscription box that sends three polishes out each month. The colors are all limited edition and there are no repeats! 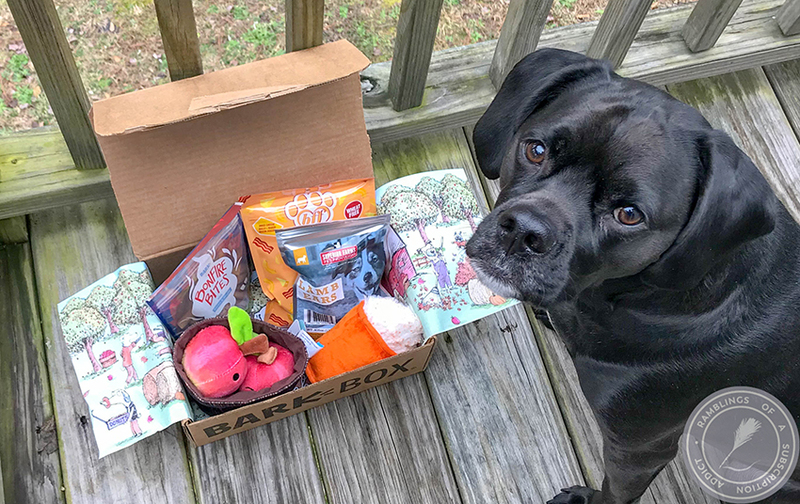 The box is only $14.99 + shipping, which is such a great price. 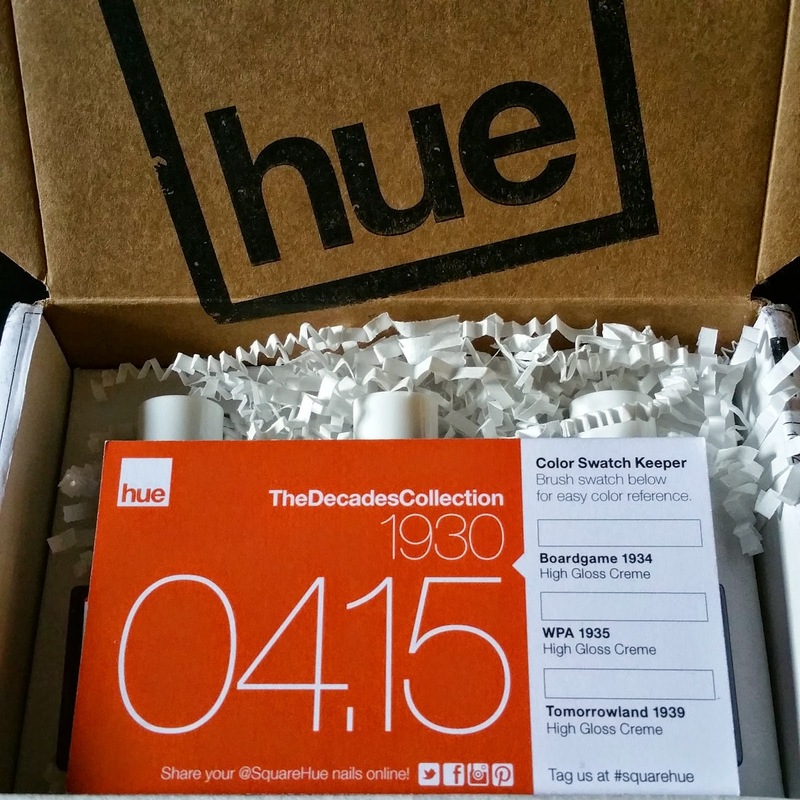 For 2015, they are doing a decades collection and I received the 1930's collection! I love how their info cards have a swatch location so you can keep up with the colors in one location. Yeah, I swatched the card. I wish I had started getting these earlier because I want a full collection! Swatch! All three of these are one-coat and they went on so smoothly. I was expecting a lesser quality because of how much more affordable these are compared to other polishes, and I was pleasantly surprised. WPA is definitely my favorite of the three, but all were great! I'm a huge fan of cremes and these are so beautiful. I'm not 100% sure on if these shades fit in with the decade, but it's still a beautifully curated box. 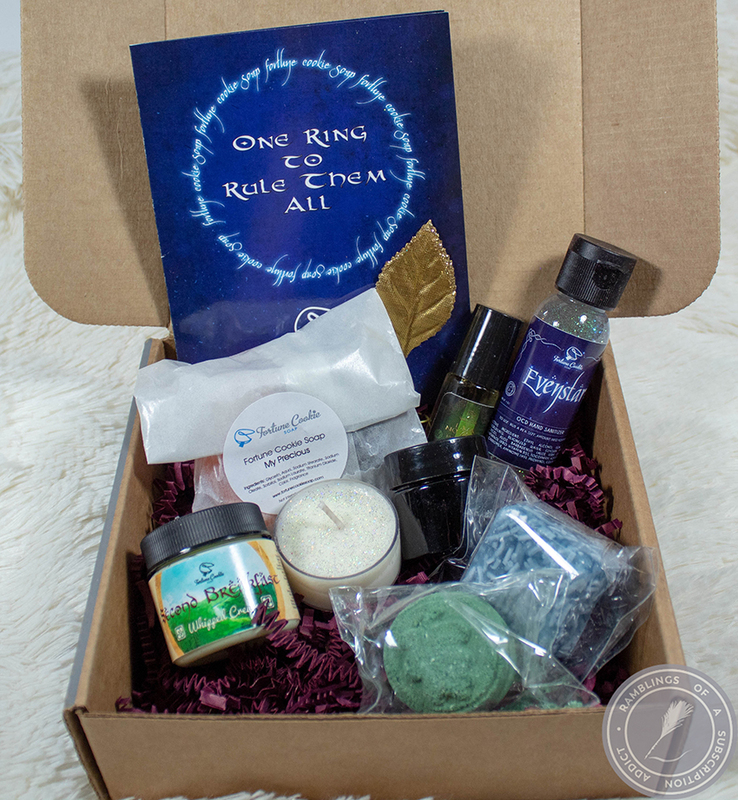 For how well priced this box is, the polishes are amazing and easily opaque. 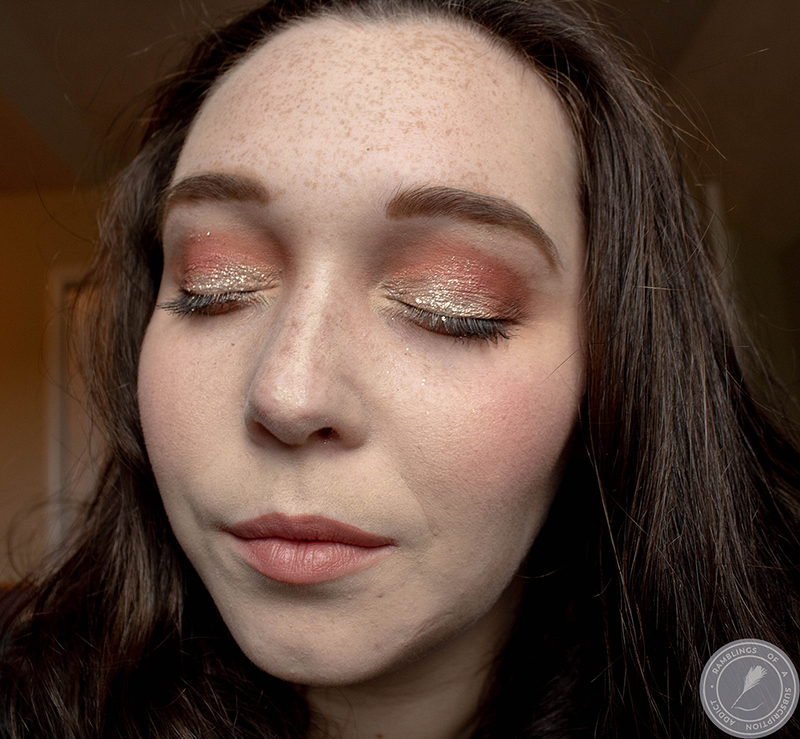 If you got SquareHue this month, let me know what you thought about it! This box was provided to me for free in exchange for a review. All opinions are my own. 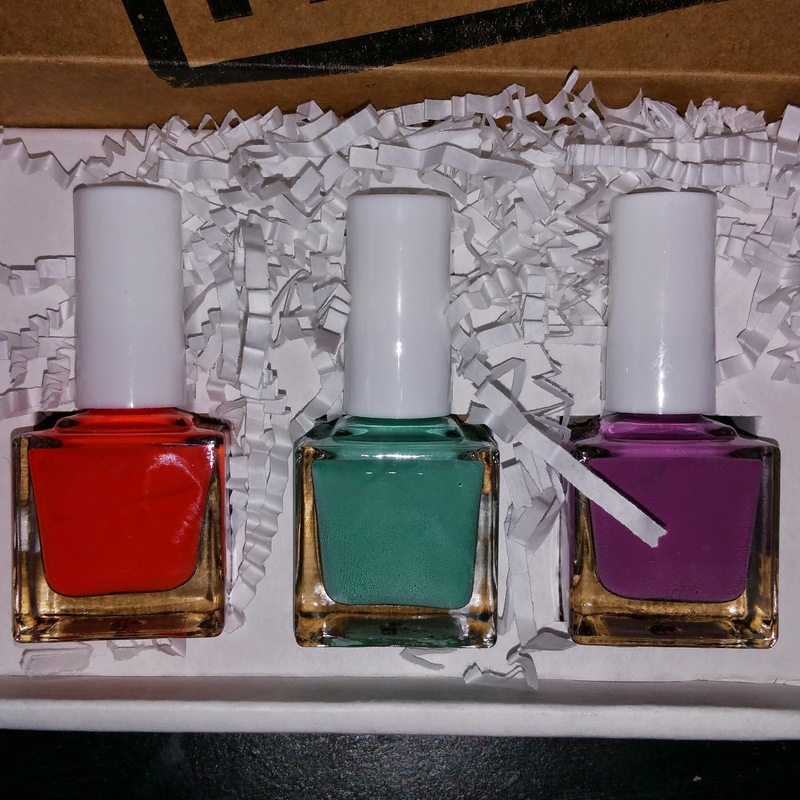 Love your review on these polishes!! 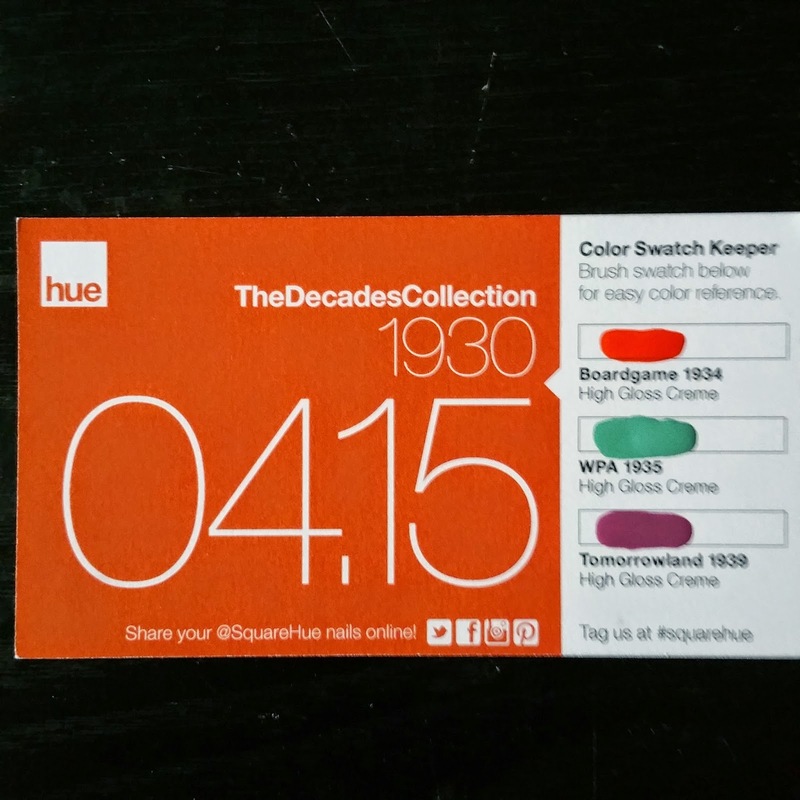 I doubt these colors are 1930 style but I glad the colors suite you!